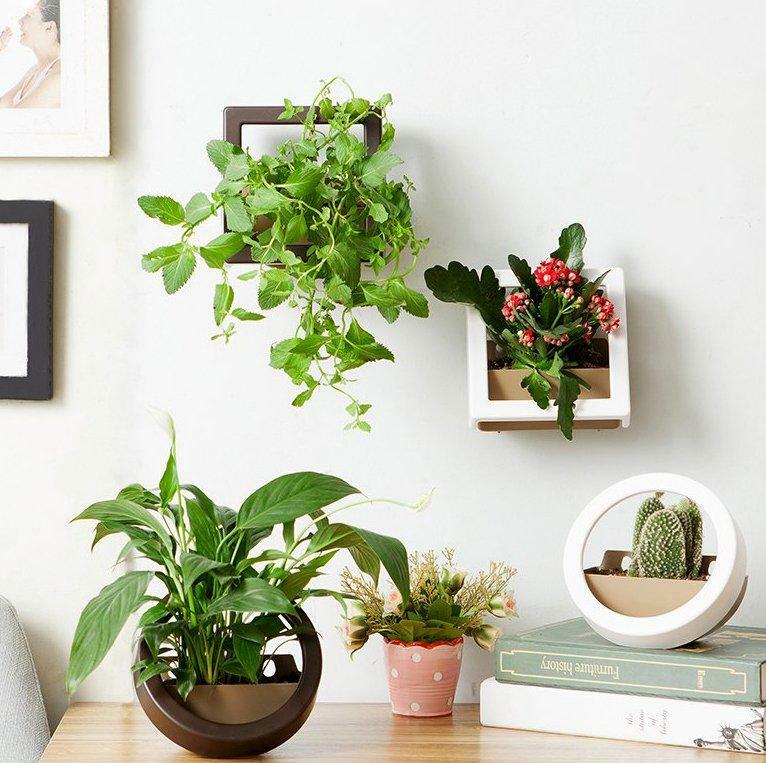 These vertical wall planters are best suited for urban dwellers who have limited space, yet want to have a touch of greenery to their walls. 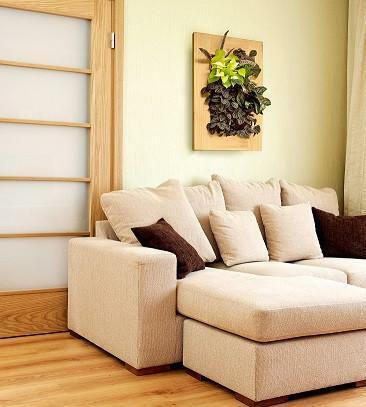 If you are looking for vertical and wall planters for your home, we have the best for you. 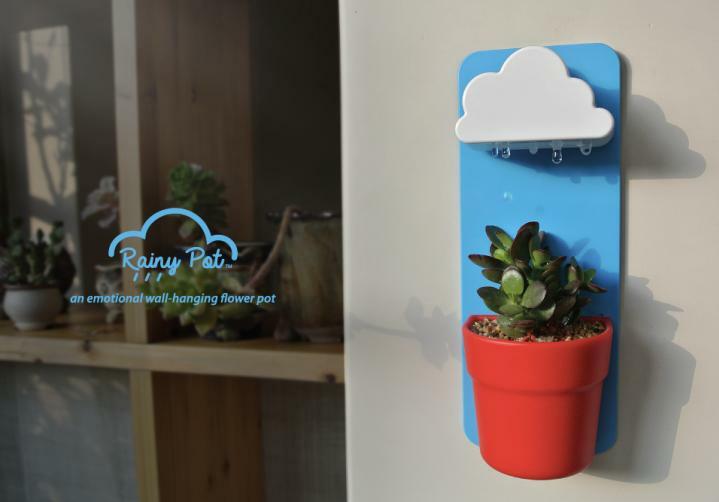 Rainypot: The Rainypot is a cool wall planter that comes with a water filter that waters the plants. 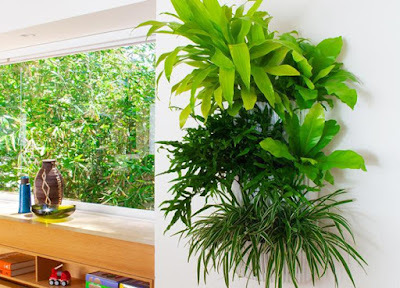 All you need to do is pour some water into the opening on the top of the water filter and the water falls through the small holes in its base onto the plant below. Buy Now: $15.90. 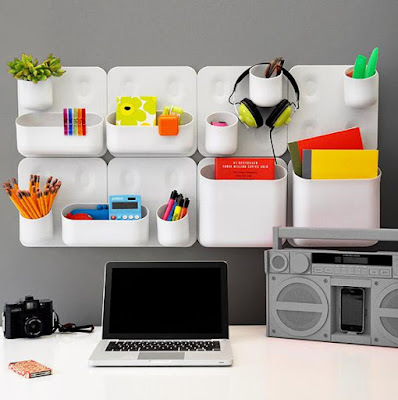 Urbio Magnetic Modular System: The Urbio Magnetic Modular System is an attractive way to stay organized while adding a touch of greenery to your walls. It attaches to the wall, and you can attach the containers of your choice. The magnetic containers attach to wall plate. Buy Now. 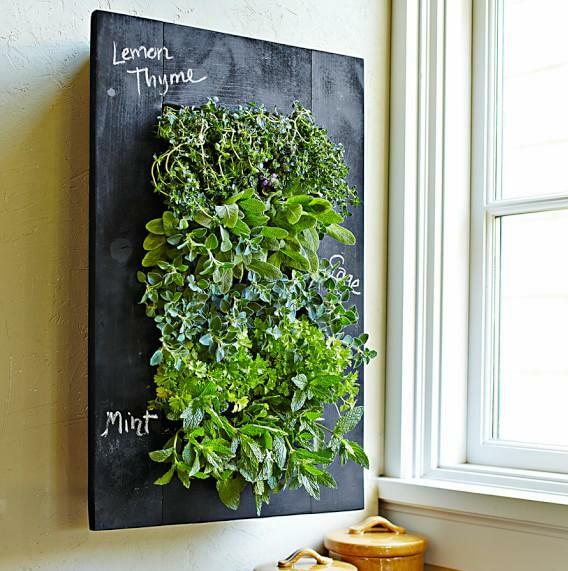 Chalkboard Wall Planter: The Chalkboard Wall Planter is best suited for growing herbs, it comes with moisture mat technology that ensures even distribution of water throughout and the chalkboard paint finish on border lets you to label the herbs. 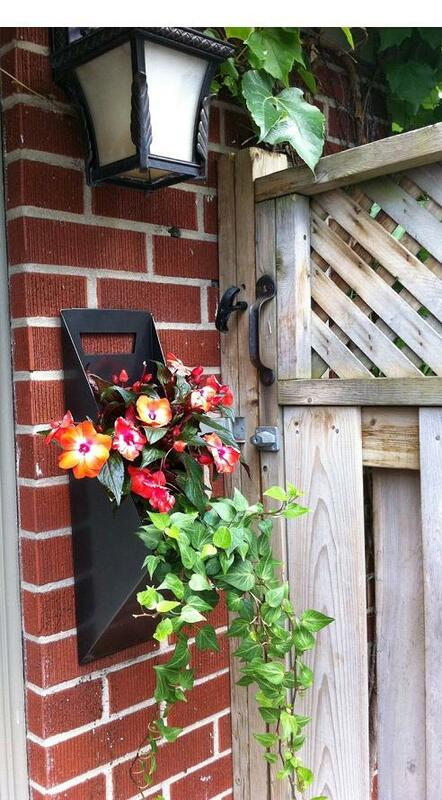 You can water as needed through the top irrigator and the hidden collector tray catches excess runoff. Buy Now: $115.96. 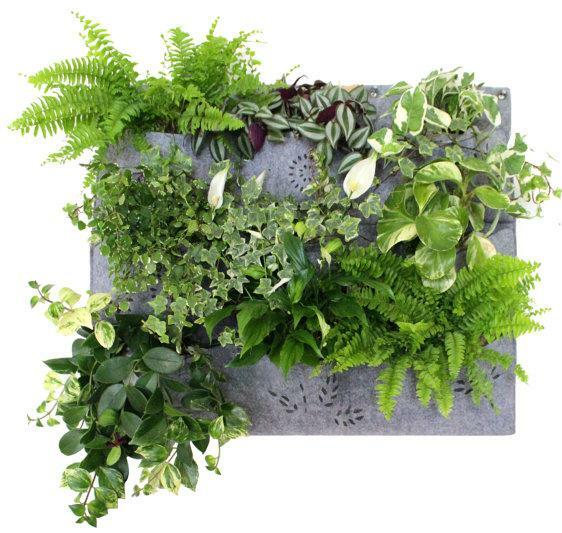 Oak Frame Wall Planter: The Oak Wall Frame Kit is perfect for your vertical garden, it includes grovert , irrigator, collector and frame. It makes watering easy, when you pour the water in the irrigator, the excess water gets collected in the collector at the bottom. Buy Now: $ 124.90. Living Wall Planter: The Living Wall Planter is perfect for growing a living wall and turns even the blackest of thumbs, green. Buy Now: $19. Cable Wall Planter: The Cable Wall Planter makes turning your wall green as easy as placing a picture on the wall. 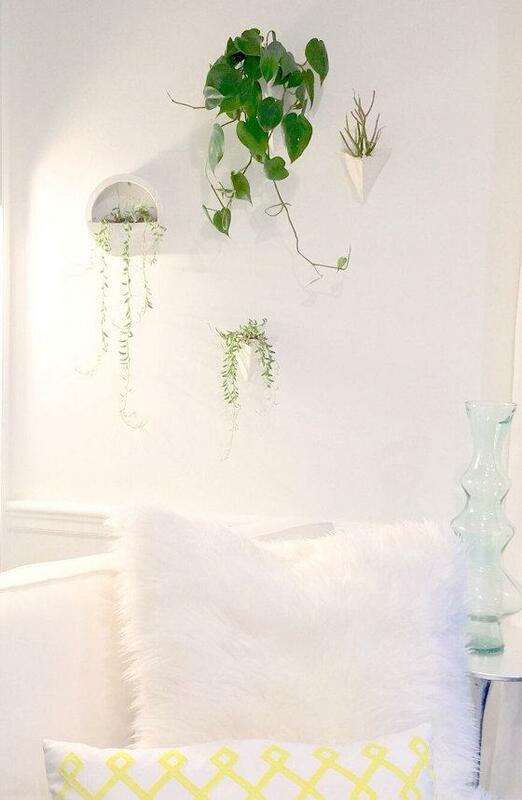 Using a marine-grade braided cable, you can place this planter from a single point on the wall. It holds two 4" nursery plants comfortably. Its water port is concealed yet accessible for adding water. Buy Now: $58. 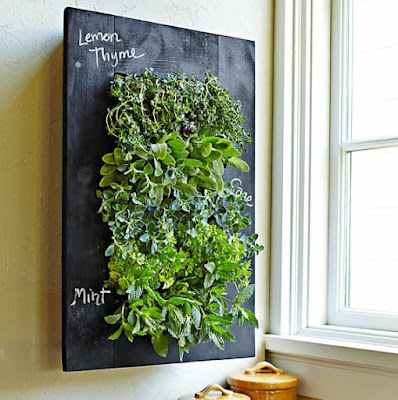 Cool Wall Planter: With this cool wall planter you can make your own beautiful vertical garden, it comes with leaking sieve, and promotes healthy root growth. Buy Now: $13. Serenity Garden Planter: The Serenity Garden Planter is perfect for your outdoors, looks elegant, and is a decorative accent and a garden adornment. Buy Now: $60. 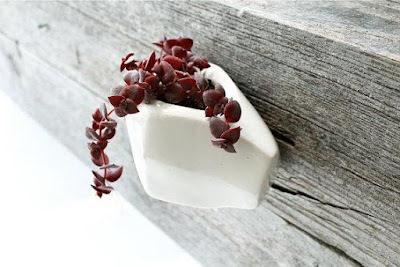 Faceted White Wall Planter: This succulent planter is made of slipcast porcelain with a clear glaze, has a hole at the back for easy fixing to the wall, and its weight is kept to a minimum, as it is hollow. 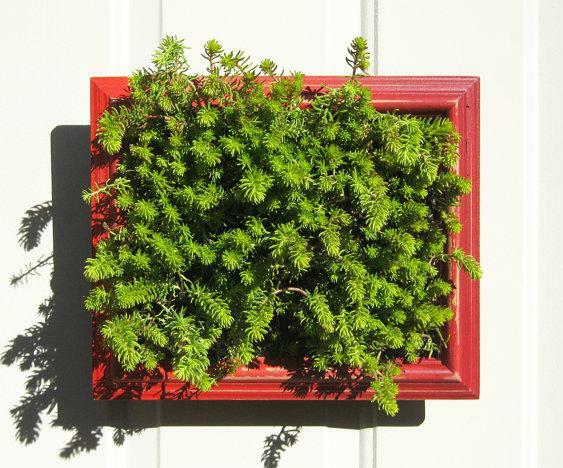 The planter is 5.5" wide, 3.5" out from your wall, and 3.5" tall. Buy Now. 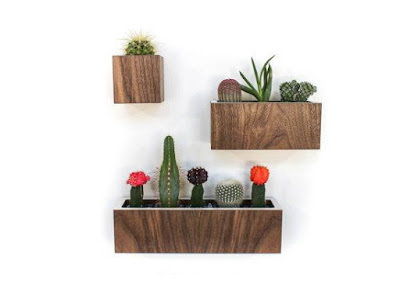 Walnut wood Wall Planters: These Walnut wood Wall Planters are handmade from sustainable walnut, and the interior is lined with a colored laminate; are best suited for succulents, small house plants and more. Buy Now. Off The Wall Planter: The Off The Wall Planter is a cool ceramic planter that you can fix on your walls at an angle. It features hidden wall fixture for a seamless look and are perfect for cacti or succulents. Buy Now: $15.99. Hiveplanters: Turn your wall into a living work of greenery with these planters. 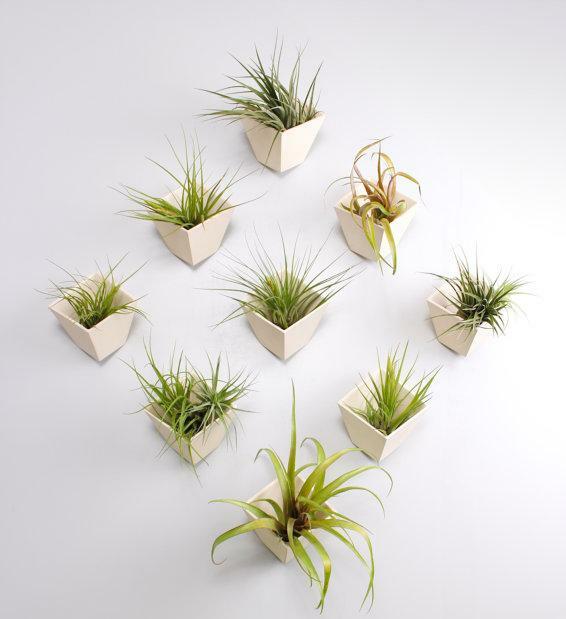 These are designed to display airplants on the wall, made with white stoneware, matte finish on the outside, and glazed clear on the inside. Comes in set of 9. Buy Now. Leather Porcelain Wall Planter: The Leather Porcelain Wall Planter features a leather strap that can be used to fix the planter on the wall. 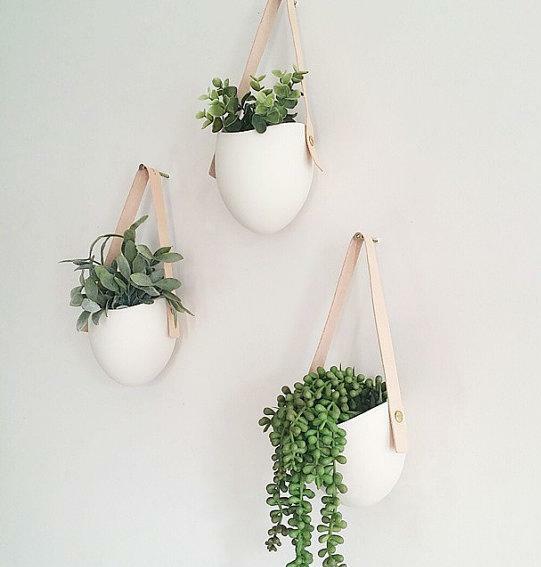 It looks like a cute tote to grow your greens on your walls. Comes in set of 3. Buy Now. 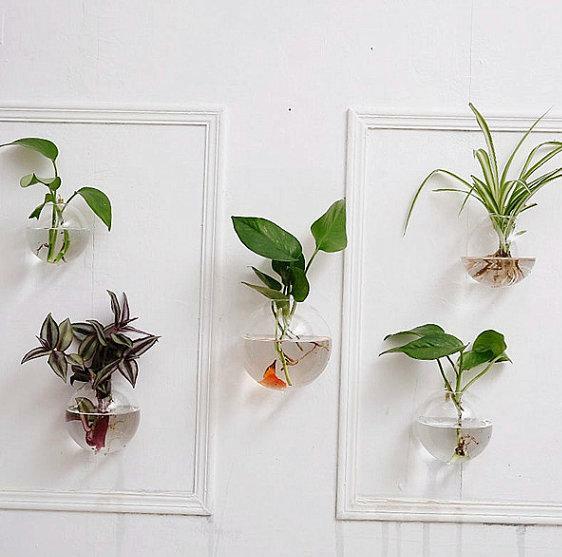 Bubble Shape Wall Planters: These handmade Bubble Shape Wall Planters are best suited for airplants, comes in set of 5. Buy Now. Vertical Planter Frame: The Vertical Planter Frame is handmade from vintage picture frames, comes with plastic-coated wire mesh fastened to the back of each frame, providing approx. 3" of depth for planting. Buy Now. Rustic Wooden Planter Box: This beautiful three tier herbs planter box lets you give a touch of greenery along with a rustic look to any wall. Buy Now. Wall Pocket Wall Planter: This waterproof wall planter is made from felt, that lets the soil to breathe and your plants to grow healthy. The planter's back and bottom are watertight. Buy Now. 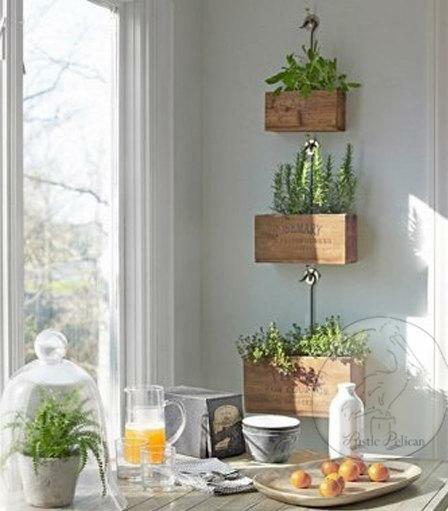 Succulent Wall Planters: The Succulent Wall Planters are perfect for adding a touch of greenery to any wall. 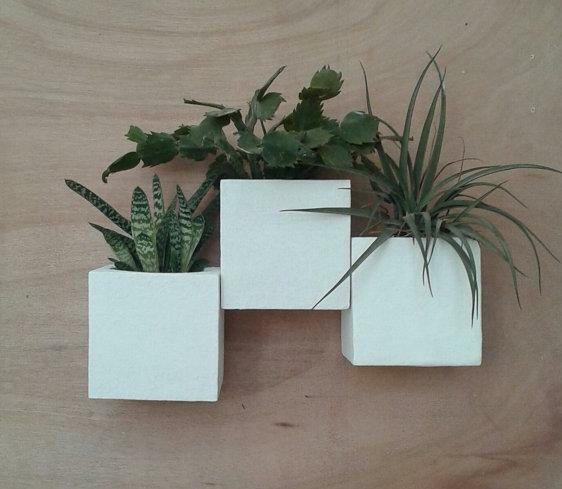 These planters are made in a light material, and sure to look good in any style home or room. Buy Now. 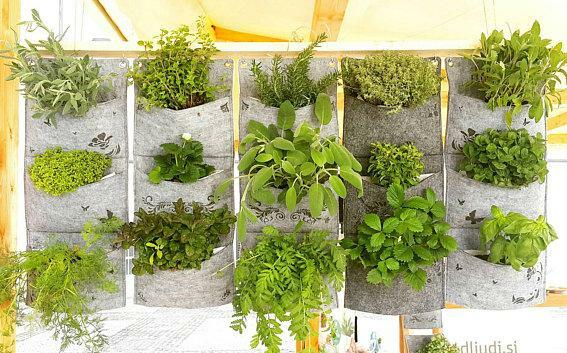 Watertight Wall Planter: The 3x3 wall garden is made from felt, that allows the soil to breathe and your plants to grow healthy. Planter's backs and bottoms are watertight. Its modular, portable, waterproof, watertight and handcrafted. Buy Now. 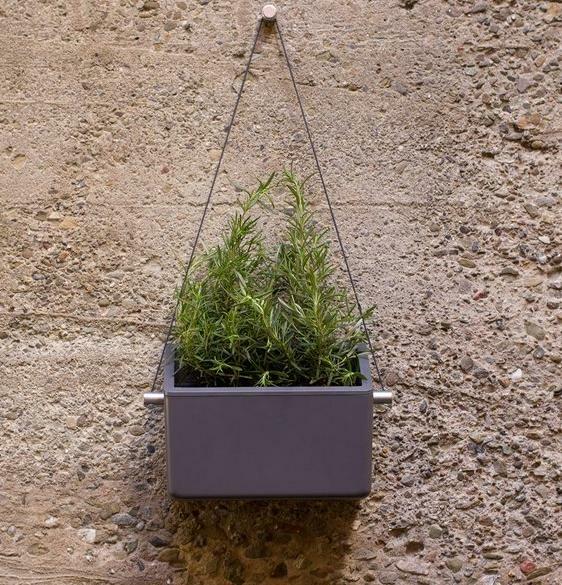 15 Unusual Planters and Clever Flowerpot Designs - Part 4.